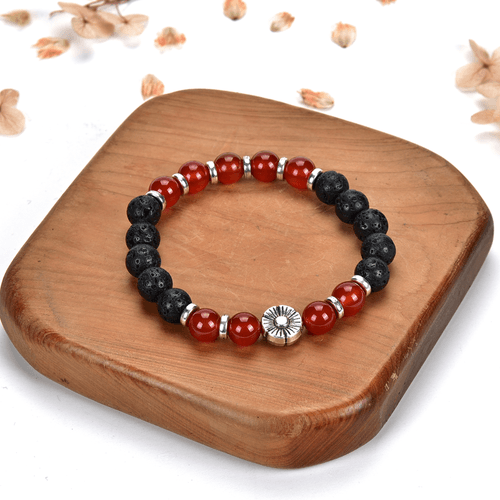 Natural Lava Beaded Chakra Stretch Bracelets with Red Agate Design Natural Lava Beaded Chakra Stretch Bracelets with Red Agate20 MM wide polyester lanyard allows a wide space for your logo to be printed, These lanyards are idea for your large complex logo. It comes with free metal Bulldog clip with Badge Holder attached. 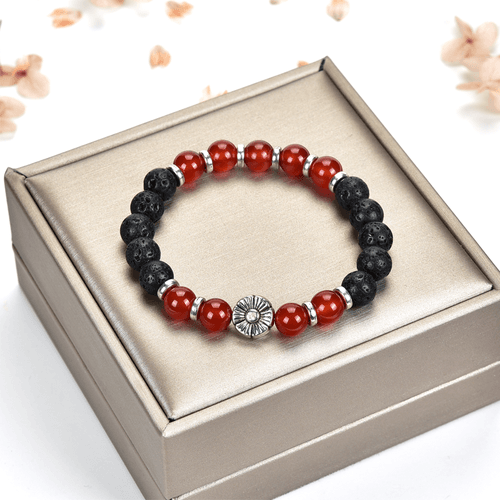 8mm red agate and 8mm natural lava with flower parts. Stringed with good quality and durable elastic cord. Description: Since lava is known for its grounding qualities, it’s wonderful for calming the emotions. 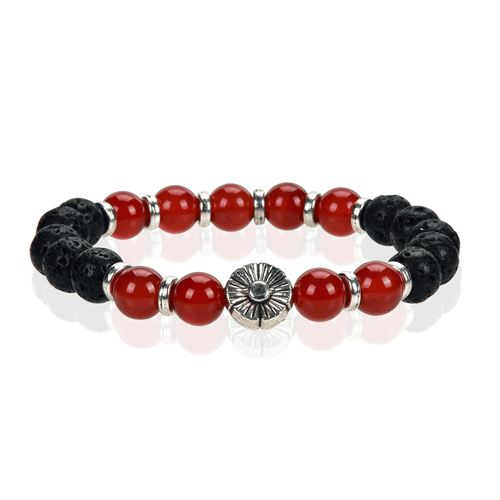 While Red agate can balance positive and negative energy, eliminate mental stress.